Germany has been last for two years in a row! Therefore the German broadcaster NDR invented a new concept to find the perfect song for Eurovision. An expert team has chosen five candidates for the live show accompanied by a big band. The rules were a bit complicated and in each round somebody has been disqualified. There were two songs to choose from. The young singer Levina has convinced with her voice, at the end she was alone in the final with two songs! With 69% of the televotes “Perfect Life” has been selected as the German entry 2017. 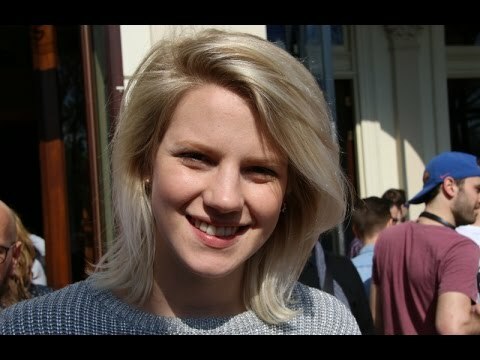 Isabella Levina Lueenn was born in Bonn in 1991. In the age of nine she began to study singing and later on she also learned to play the piano and song writing. She even won the German contest “Jugend Musiziert”. Levina grew up in Chemnitz, Germany, but now she is living in London and commutes between London and Berlin. In London she studied vocals and composing as well as music management. Together with her band Miss Terry Blue she could win the Uni-Music League. The German entry “Perfect Life” has been composed by the American team Lindy Robbins, Lindsey Ray und Dave Bassett. Despite her smoky deep voice, the composition is arranged in a higher note level and does not utilize her ability to sing deeper notes. The song itself has a certain monotony and the verse is a kind of withstand, the chorus is short and unobtrusive, and unfortunately hard to remember. This is probably not the perfect song for Levina, which is a tragedy. At least her charming smile and her good looks will give some marks. Germany is participating for the 62nd time in the Eurovision Song Contest and so Germany took part every year since 1956, beside of one forced break in 1996 as there has been an international selection and Leon’s “Planet Of Blue” has not been chosen. Germany is one of the founding members of the ESC. In 1956 there were two entries per country allowed, Germany had “Im Wartesaal Zum Grossen Glück” by Walter Andreas Schwarz (2nd) and “So Geht Das Jede Nacht” by Freddy Quinn (also 2nd). In that year there was only one winner and all other participants came 2nd. Germany was often very close to victory, with six second places it was very successful even though. But in 1982 a young girl named Nicole could capture the European hearts with a little song of peace in rough political times called “Ein bisschen Frieden”. For a long time this was the only German winning entry, until another young cheeky girl named Lena could win with her unpretentious “Satellite” all votes all over Europe. This song went number one in many European countries. A great success after many attempts of German composers and songwriters – and particular Ralph Siegel - to bring the trophy back to Germany. Germany belongs to the Big 5 countries (France, Germany, Italy, Spain and United Kingdom) – the biggest financiers of the EBU – so therefore these countries get a granted place in the Grand Finals and they don’t have to qualify anymore. One of the most successful German composers is Ralph Siegel. This guy has written a great amount of the German entries. He also wrote songs for Luxembourg, Montenegro and San Marino. In 2010, Germany could show the rest of the world the latest stage technology and especially how the Germans can celebrate at the 56th ESC in Düsseldorf. The contest was a big success for the city of Düsseldorf for the ESC and last but not least - the positive image of Germany as a Eurovision-enthusiastic-country. In the past years since 2013, Germany could only be found at the bottom of the scoreboard. And even more the last two entries “Black Smoke” by Ann Sophie came last with zero points and one year later Jamie-Lee Kriewitz also made the last place with “Ghost” with 11 points only. This also happened in 1964 and 1965. 2017-02-08 - What to expect from the German final?